Though market is filled with chemical based skin lightening creams and gels for dark underarms, it is best to try home remedies. Home remedies are not only cost effective but also safe without any side effects. 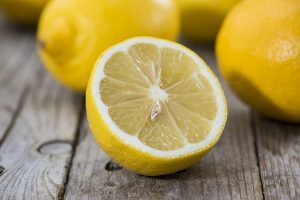 There are many home ingredients that are proven to reduce dark discoloration under arms in which lemons are the most popular and efficient one. Does Lemon Work For Dark Underarms? Lemons are the safe and readily available ingredient which can give amazing results in no time. Are you ready to learn home remedies using lemon to reduce dark underarms? Listed are the detailed methods that help in getting rid of dark underarms effectively. This combination serves as an amazing scrub. Lemon lightens the skin and sugar removes the dead skin. Mix lemon juice and sugar. Apply on armpits and leave for 10 minutes. Rub the skin gently as the sugar granules scrub the dead skin. After scrubbing for 5 minutes, wash using normal water. Or you can also use brown sugar instead of sugar. Repeat this process once in 2 days. As lemon can dry the skin under the arms, olive oil helps in moisturizing and nourishing it. Extract juice from 1 medium sized lemon and add 1 tablespoon of olive oil to it. Mix well and apply this mixture on underarms. Let it rest for 40 minutes and rinse it off with cold water. For quick results, you can follow this process daily before bed. Mix 1 tablespoon of lemon juice, 2 tablespoons of aloe-vera gel, 1/2 teaspoon of turmeric and 1 tablespoon of olive oil. Wipe underarms with cotton dipped in rose water. Apply this mixture on underarms. Leave it overnight if you can or else for 1 – 1 ½ hour. If you are worried about the yellow tint formed by turmeric, dip a cotton pad in cool water and gently wipe your underarms thoroughly. Alternatively, use cucumber gel instead of aloe-vera gel. Repeat this process 2 – 3 times a week to lighten the skin under arms. Blend few slices of cucumber. Add 2 tablespoons of olive oil, 1 tablespoon of baking soda and 3 tablespoon of lemon juice to it. Stir well to make a fine paste and apply this on underarms. After 10 minutes, rinse with lukewarm water and pat dry. Honey soothes the irritation caused by acidic properties of lemon. This combination is best for sensitive skin. Mix 1 tablespoon each of fresh lemon juice and honey. Apply this mixture evenly covering the dark underarm. Apply this mixture daily before bed. Grind few peanuts to make a fine powder. Apply this mixture on underarms and leave for 10 – 15 minutes. Remove the mixture by gently scrubbing with normal water. To achieve desired results, follow this process at least 2 – 3 times a week. To remove dark underarms effectively, repeat this process regularly. Add 2 tablespoons of lemon juice, 1/4 teaspoon each of turmeric powder, yogurt and honey. Stir well to make a fine paste and apply it underarms. Massage gently for few seconds and let it rest for 10 minutes. Rinse off with normal water and pat dry. For extra benefits, add 2 tablespoons of chickpea flour. Repeat this process at least 2 times a week for better results. Combine 1/2 tablespoon of lemon juice, 1 tablespoon each of mashed avocado, honey, cucumber juice and 2 tablespoons of baking soda. Mix well to make a fine paste. Gently apply the mixture covering underarms. After 10 minutes, rinse off with normal water. You can apply this mixture 2 times a month. The astringent properties in cucumber lighten and tighten the skin under arms and whereas turmeric regenerates damaged skin. This combination ensures quick results in removing dark underarms. Mix equal quantities of lemon juice and cucumber juice along with 1 teaspoon of turmeric. Stir well and apply on clean underarms. Leave on for 20 -25 minutes and rinse it thoroughly with water. Follow this process for 3 – 4 times in a week. As lemon and baking soda have strong bleaching (skin lightening) properties, it helps in reducing the dark discoloration under the arms quickly. But people with sensitive skin should avoid using this combination. Mix lemon juice and baking soda. Apply this mixture covering underarms for 10 minutes. Rinse it off with normal water and pat dry. Follow this process 2 – 3 times a week. Gram flour will cleanse the area while milk and lemon juice will lighten the skin. Turmeric treats any infection and soothes the skin. Mix 1 tablespoon each of lemon juice and milk, 2 tablespoons of gram flour and a pinch of turmeric. Apply it on underarms and gently massage in circular motions for few minutes. Let the mask rest for 20 minutes. Follow this process at least 3 times a week. Mix 1 teaspoon of lemon juice, 2 teaspoons of turmeric, 1 teaspoon each of coconut milk and olive oil. Stir well and apply the paste covering underarms. Wash the area with normal water after 15 minutes. Repeat this process once in 2 days for better results. Take 1 ripe banana and mash it with spoon. Mix 1 teaspoon lemon juice and a pinch of turmeric to it. Apply on dark armpits and leave for 20 minutes. Wash with normal water and pat dry. Do this 2-3 times a week for better results. Both lemons and tomatoes have amazing bleaching (skin lightening) properties. So this combination provides faster results in reducing dark underarms. Mix equal quantities of lemon juice and tomato juice. Stir well and apply this mixture on underarms. Let it rest for few minutes. Rinse with normal water and pat dry. Combine rice flour and lemon juice to make a fine paste. Apply this paste on underarms. After 5 minutes rinse off with water by gently scrubbing the area. Repeat this process regularly to achieve sure-shot results. Lemon juice lightens the skin color and sour cream whitens and removes the impurities without irritation. Make a fine paste of lemon juice and sour cream. Apply this paste covering the dark area under the arms. Leave for 10 minutes and rinse off with plain water. This mixture not only acts as a skin whitening treatment but a mix of essential oils also acts as a natural deodorant. Mix 1/2 teaspoon each of mandarin oil, lemon oil, galbanum oil, rose otto oil, bergamot oil and 1/4 teaspoon each of carrot seed oil and litsea cubeba oil. To this mixture, add 1/4 cup of coconut oil and stir well. Take a small amount of mixture and apply it under the arms. Gently rub it till skin absorbs the oil. Continue this process 2 times daily (morning and evening) for 3 months to see the magic. You can refrigerate the mixture and preserve it for 90 days maximum. Every time before applying, shake the mixture well. Note: Apply a small amount of oil as excess oil can make the skin greasy. Lemon juice makes the skin dry. So after using lemon remedy regularly, makes sure to apply any moisturizer of your choice. Lemon juice brought from super markets will have chemicals for its preservation which can be harmful to the skin. It is always best to use freshly squeezed lemon juice for any beauty treatments as it can be more effective in providing desired results. If your skin is very sensitive, the acidic nature of lemon can irritate your skin a lot. So it is better to avoid application of lemon. If you still want to try, you can dilute it with water before application. Before using any remedy mentioned above, make sure to do a test on your skin, if it causes any burning, irritating and itching then stop using. If not you are free to use. Avoid shaving and as it just removes hair from the surface. Repeated shaving causes friction which makes skin look dull and rough. It is best to choose waxing as it removes hair from root. Avoid deodorants, antiperspirants and hair removing creams. Don’t wear extra fitted clothes as it stops skin to breathe. Less ventilation also leads to dark discoloration. Avoid intake of birth pills as hormonal imbalance also leads to dark pigmentation. Exfoliate at least once in a month with natural ingredients like sugar or walnut powder to remove the dead skin. You can use anti-fungal powder or talcum powder instead of deodorants. All above mentioned cures are effective but according to your skin type some may work and some may not. By repeating the remedy you can get rid of dark underarms quickly. Share your experience with us. when i apply lemon on my armpit am i supposed to use body spray perfume or rollon. what if i apply at night am i to spray the next day or stay without spraying till the process is over and how long will i do it.